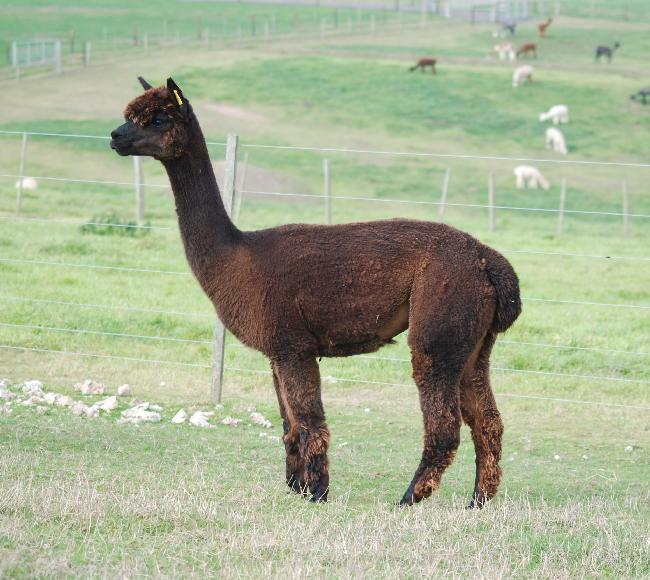 Bozedown Black Velvet 2 is a very well bred female who brings high quality genetics to the table. 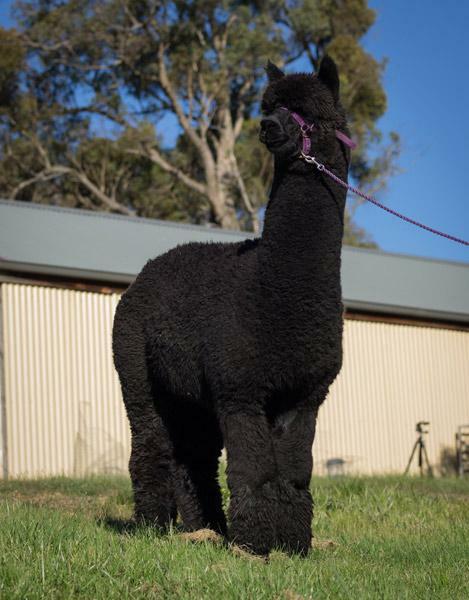 Although these bloodlines are not black, the potential for this female to have a black cria of extreme quality is high, particularly as she has been bred to our champion sire Surtierra Shadow. 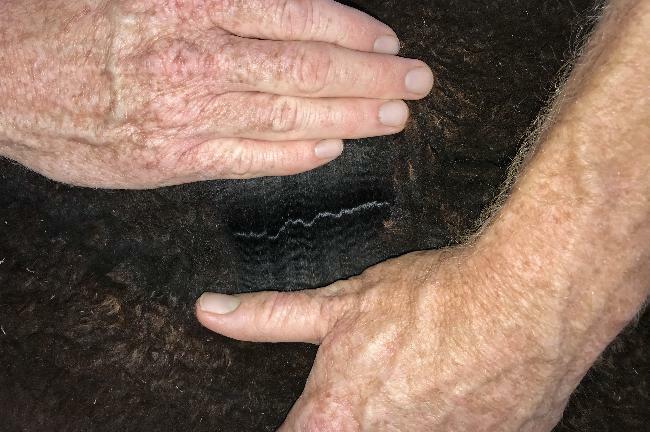 As the photo shows, her fleece is very dense, uniform and her test reveals great fineness. 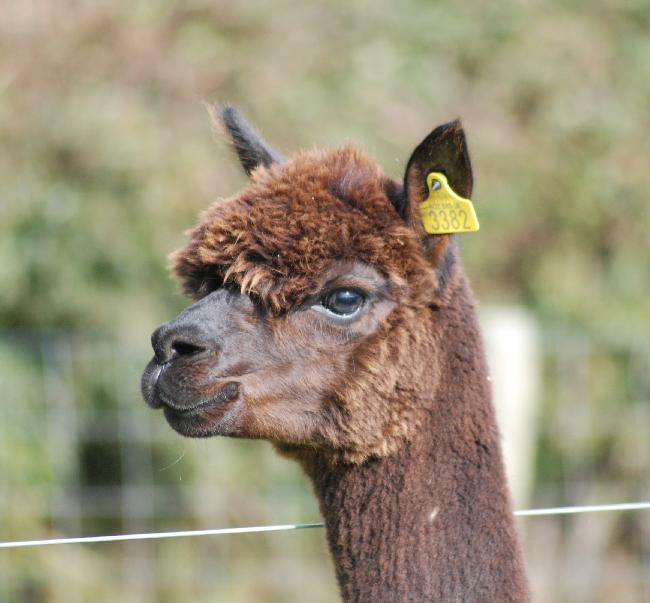 This female would suit those looking to take a risk on colour but produce very high quality cria.